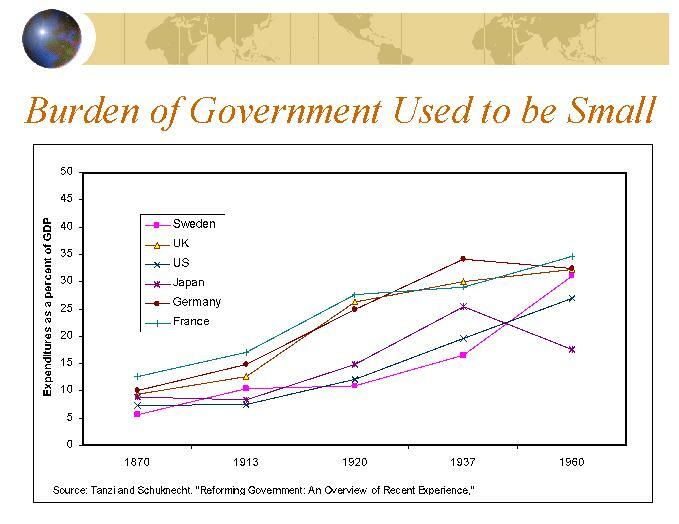 Weren’t taxes and the size of government very low prior to 1800? What’s the best explanation for thousands of years of almost no growth prior to that, with much smaller governments than we have today? One candidate is high violence, which certainly lower growth, although I wouldn’t be surprised if many medieval countries had lower violence than St. Louis, Detroit, Chicago, etc. Of course without the rest of the country providing jobs and innovation, low income areas of these cities might have a medieval standard of living. Science is a huge explanation. Until people started believing in evidence, based on experimental proof, rather than superstition, progress was virtually impossible. Poor monetary policy is another explanation, but I’m sure some medieval countries had relatively stable currency but virtually no economic growth. I really think a comprehensive theory of economic growth that honestly looks at more than just the size of government could be highly persuasive. We should come up with a theory as powerful as the theory of evolution, only for economics. It seems to me that the Welfare State could not exist absent the tremendous productivity gains achieved by mechanization during the Industrial Age. It further seems to me that no productivity gains will be sufficient to prevent the Welfare State from driving a nation into a debt crisis. on February 1, 2015 at 3:27 am Teret države nekad i danas | Tko je John Galt?